WELCOME to the Lancashire and South Cumbria Critical Care Network website. This website aims to develop a community of knowledge surrounding the work in progress for the improvement of critical care services across the Lancashire and South Cumbria region. Critical Care is a vital hospital service and combines both Intensive Care Unit (ICU) and High Dependency (HDU) care areas where the sickest patients in the hospital are treated. These desperately unwell patients can come from any area in the hospital and need constant and close monitoring; support for their organ systems from specific equipment and medication to keep the body functioning normally while they recover. Critical Care services also often provide a key role within the hospital to support the medical and surgical specialities in the early recognition of, and response to, acute illness in adults in hospital. 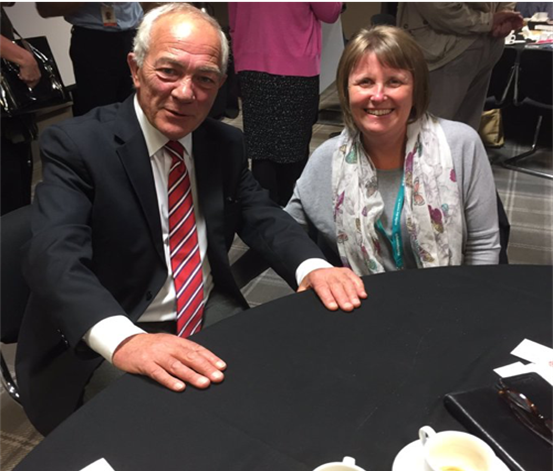 Our aim is to focus on facilitating safe quality care for acutely and critically ill patients across community, NHS hospital and Independent hospital care organisations. Through collaborative working with commissioners, providers and users of critical care, we aim to review services and make improvements where they are required, ensuring delivery of patient focused care by appropriately educated and trained healthcare professionals. "Critical Care services are an essential part of the care pathway of many hospital patients and needs to be fully integrated into whole hospital services to ensure best patient outcomes." To this end the Network aims to facilitate the sharing of good practice, develop where necessary common policies and procedures, and help providers and commissioners implement national best practice recommendations related to Critical Care, where these are present. We hope to share our enthusiasm and dedication in developing quality critical care services our population deserves. 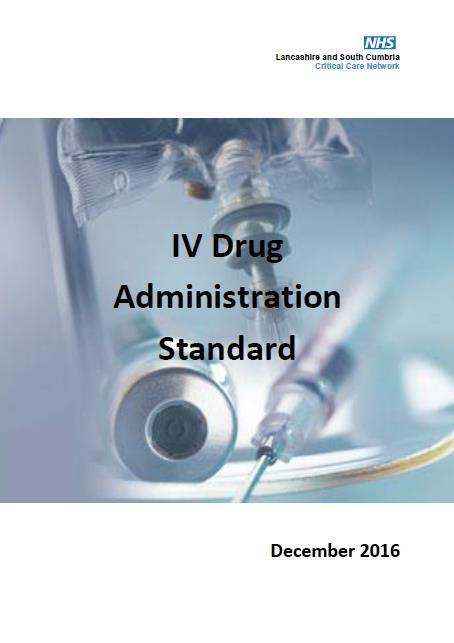 The Network has worked in collaboration with its other NW Networks and our own Pharmacists to develop the IV Drug Adminstration Standards. This document can be found on the Quality and Leadership page under the Medication forum tab. We are pleased to announce that 2 new documents are available that supports the development of nursing knowledge and skills. Step 4 Competencies form part of the suite of critical care step competencies that have been in use for some years. Step 4 aims to support the development of leadership skills for senior bands or those aspiring to become leaders in practice. Level 1 Competencies have been developed to support nurses working in 'enhanced' care areas. Further information about these documents can be found on our Education & Training page. Critical Futures is a long term project commissioned through the Faculty of Intensive Care Medicine. Its aim is to take forward a suite of work streams that analyse and respond to anticipated changes and pressures on critical care and related services. The Faculty is pleased to launch the first step on this journey,click on the link to be directed to their page Critical Futures: A Report on the First Wave Survey. 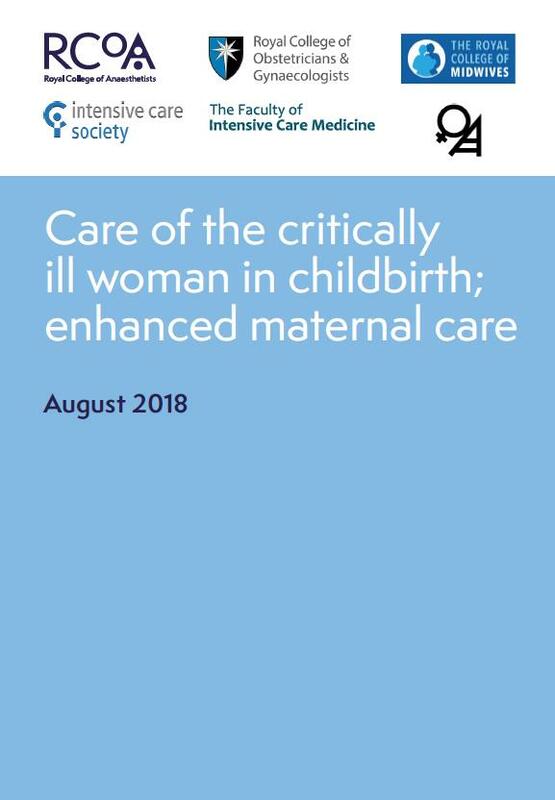 This document replaces the former Joint Standing Committee 2011 standards document: Providing equity of critical and maternity care for the critically-ill pregnant or recently pregnant woman. 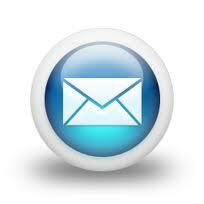 For more information about any events listed on this page please contact us. As part of our commitment towards improving critical care services we are holding more events for former critical care patients and their families to hear about their experiences of their stay. These will take place at various locations across the Network over 2018. 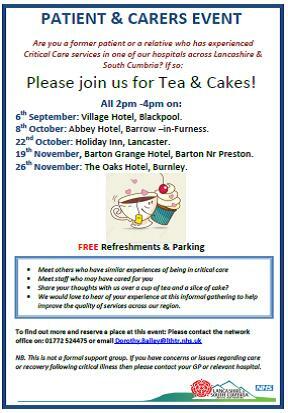 If you would like to share your story with us and meet staff that may have cared for you whilst in hospital then join us for tea and cakes later this year. Please see details on the flyer of dates and venues, and how to contact us to reserve a place. Click on the ICU Steps logo at the bottom of the page for more information on engagement with critical care patients and available support. 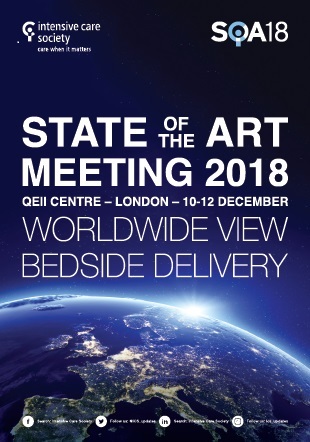 This years SOA event looks to hold an exciting fresh faced programme that has more relevance to clinical practice and welcomes delegates from multiple-professional areas. The Network is looking forward to supporting staff from our stakeholder organisations to attend this event to review the latest innovations, research and clinical practices to obtain ideas for improving our own local critical care services. For more information on the programme click on the image opposite. Why not submit an abstract and shout about the great work many of you are doing within our critical care units across Lancashire & South Cumbria . Share your work and be recognised for your efforts! Closing date for sunmissions is 17th September 2018. 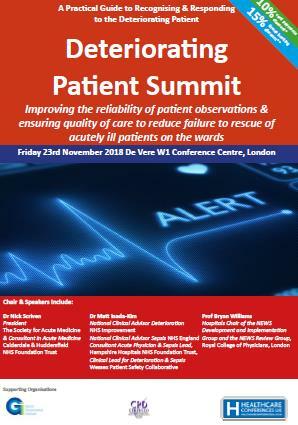 This National Deteriorating Patient Summit focuses on recognising and responding to the deteriorating patient through improving the reliability of patient observations and ensuring quality of care to reduce failure to rescue of acutely ill patients. The conference will include National Developments and Case Studies highlighting the effective implementation of NEWS2 – the New National Early Warning Score. You will have the opportunity to network with colleagues who are working to improve the recognition and management of deteriorating patients, self-assess, reflect and expand your skills in the management of sepsis and gain CPD accreditation points contributing to professional development and revalidation evidence.